When you have been accused or charged with a crime, Noel Benedict & Associates can assist you in navigating the justice system. Even seemingly small transgressions can be serious matters. If you are charged with a crime, even if it is one you feel you are not guilty of doing, you need a consultation with an experienced attorney. 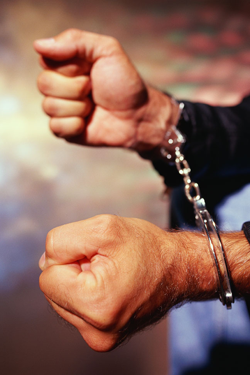 A misdemeanor crime is one that is defined by punishment of 12 months or less, as opposed to a felony, which can be punished by more than 12 months. As experienced counselors of law, Noel H. Benedict & Associates can give you expert advice and guidance in serious misdemeanor crimes, including but not limited to shoplifting, embezzlement charges, simple assault, simple battery, family violence, driving while under the influence of drugs or alcohol, speeding, or other traffic violations. Don’t ignore any citation you receive from the courts, or you may find yourself in violation of the law and subject to being taken into custody! Call us for a free consultation today and find out what your legal rights and obligations are under the law. If you think talking to an attorney is difficult, try telling it to a judge. Hire an advocate to help you negotiate your way through what can be a complicated and stressful system. Is there a way to keep a shoplifting charge off my record? My neighbor has taken out a warrant against me, and there is a hearing date. What should I do? I got a DUI. Can you get me a temporary driver’s permit? My probation has been revoked. Will I have to go to jail? I got a ticket. Do I have to come to my hearing or can my attorney just do it for me? Should I let the police search my car if they stop me? I am under 21 and got a speeding ticket. Will I lose my license?